New Zealand is a popular place for foreigners. 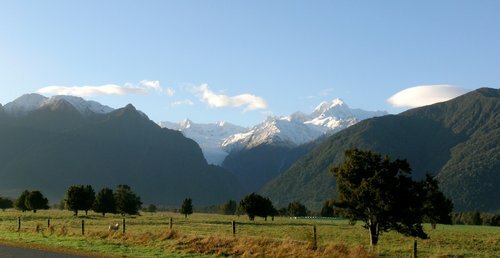 Expats all over the world come to New Zealand to bask in the beauty of this country. In fact, I have a fraternity brother (from my college days) who made a beeline for New Zealand right after graduating from school. He had a blast and found it incredibly difficult to leave. I’d do anything to go on a nice ski trip in New Zealand one of these days. Before you begin browsing the links below, I highly suggest you consult the New Zealand Government portal, which is a one stop shop for those intending to move to New Zealand. It is a fantastic resource. Seek: Seek is one of the two largest job search engines in the country. TradeMe: This site is the other large New Zealand job search engine. Backpacker Board: This site has job listings for travelers and backpackers. Grad Ireland breaks down the major job search websites in New Zealand. JustLanded has a thorough guide that highlights the major job search options for New Zealand. Transitions Abroad has a thorough post with useful links for living abroad in New Zealand. There you have it. The best places to find jobs in New Zealand as a foreigner. For information on visas for New Zealand, be sure to check out my New Zealand visa page. If you are single and are looking to spice up your dating life, check out my reviews of the best dating sites in New Zealand.